How did you change the font in your Instagram Story? I can’t tell you how often I’ve been asked this question over the last few weeks! 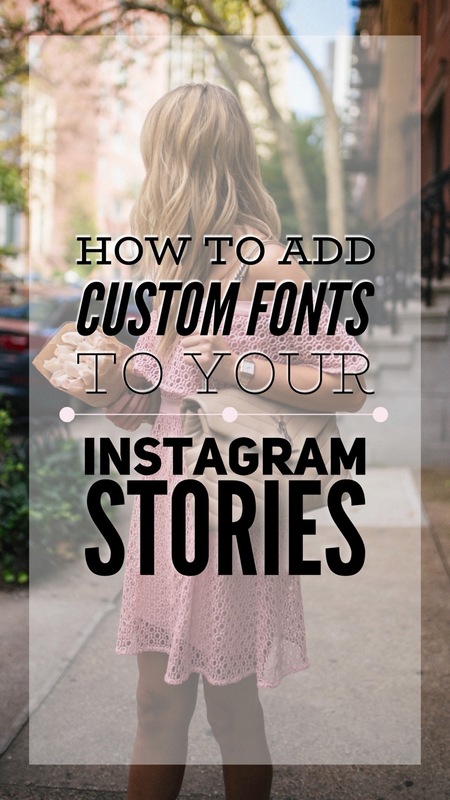 Instead of continuing to reply to everyone individually over DMs, I thought it would be helpful to create a guide breaking down just how to add custom fonts to your Instagram story. It’s really fun and easy! PS you can follow me on Instagram @KatiesBliss. Today so many influencers and brands are using stories to connect with their followers and I absolutely love getting creative with mine. 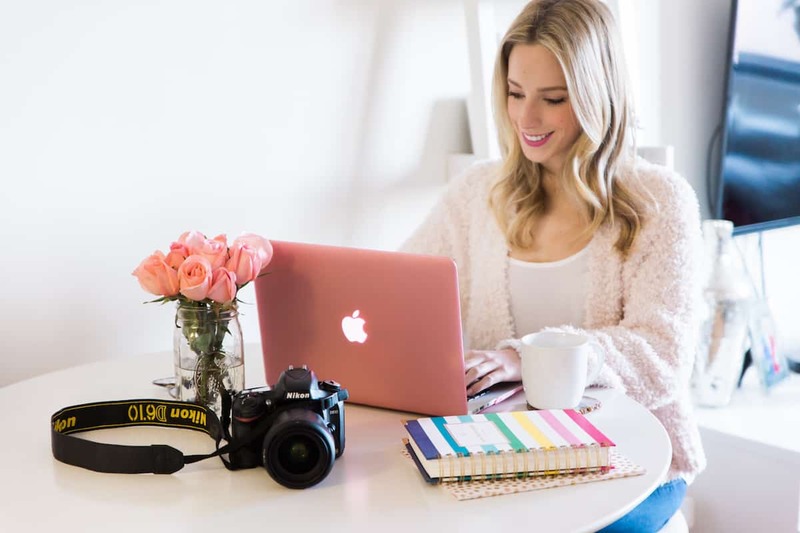 Whether I’m sharing a photo of a meal, a video clip from an event or announcing that a new blog post has just gone live– there are so many ways you can customize your content beyond Instagram’s built-in text editor or drawing with the pen tool. Want to know how? Here a few of my favorite techniques. Want to know my favorite apps? MAKE SURE TO ALSO CHECK OUT MY GUIDE TO THE BEST APPS FOR CUSTOMIZING INSTAGRAM STORIES HERE. Before I begin: I can assure you that no, you aren’t missing some hidden feature or tool in Instagram that allows you to do this. Believe me, I’ve done my research. I create all of my customized photos and videos in separate apps that I then save and upload to my story. The work I do in the Instagram platform itself is very minimal. The app that I utilize the most is Typorama. This text overlay editor allows you to add customized working to still images. It’s incredibly easy to use and there are a ton of creative font designs to play around with. 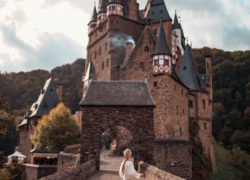 One of the best features is that there are multiple crop options to ensure you have the correct dimensions for the platform that you plan on posting to. The text also automatically will align itself with a tap and resize with the drag of a finger. When I have more time on my hands I like to use Font Candy. It’s a similar app to Typorama, however the tools are more advanced. 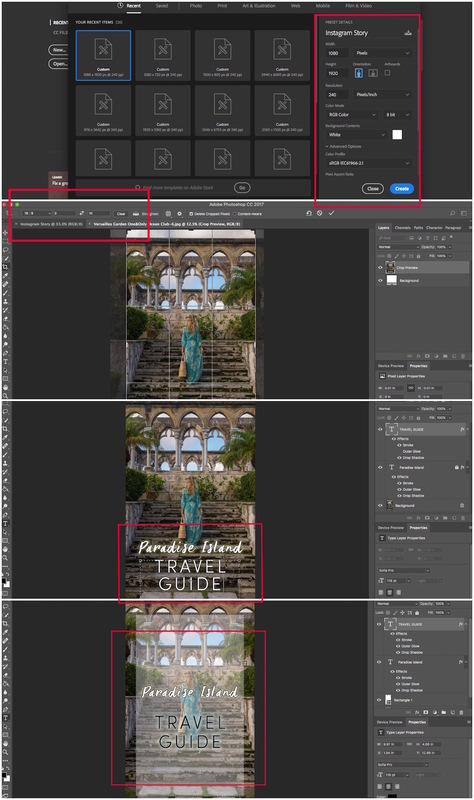 There are options to add artwork and shapes to your images, plus you can upload your own fonts into the editor. All the added customizations are so tempting that I could probably spend close to an hour on just one photo, so for the sake of efficiency I only use this when there’s something I really want to do that I can’t in Typorama. 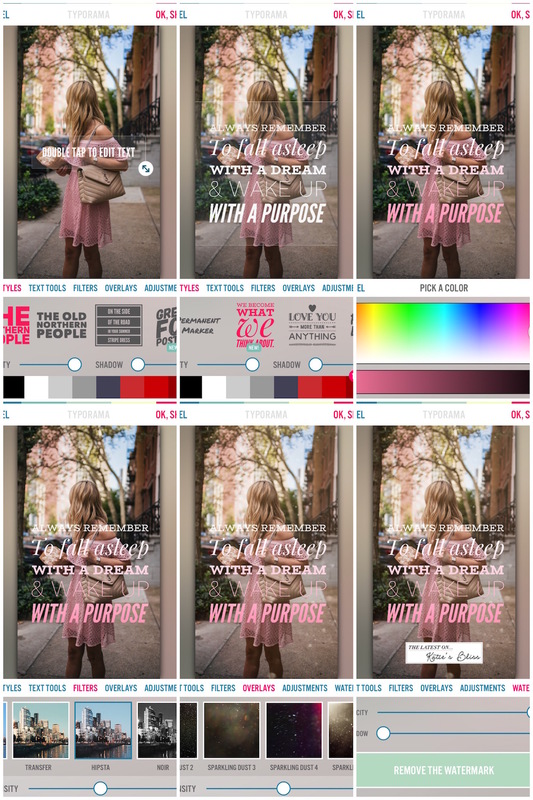 Font Candy has a few additional tools that are great for creating really special Instagram Story graphics. These include the ability to add artwork and shapes (you can even upload your own) and lots of tools for customizing text and fonts. What’s great with this app is that you can continue to add multiple layers of text boxes and shapes without having to save the photo and reopen the saved version like in Typorama. Everything you can do in Typorama and Font Candy can also be done in good ole’ Photoshop. Since I edit all of my blog images in Lightroom sometimes it’s easier to just create graphics for Instagram Story right on my laptop. The editing options in Photoshop are endless. 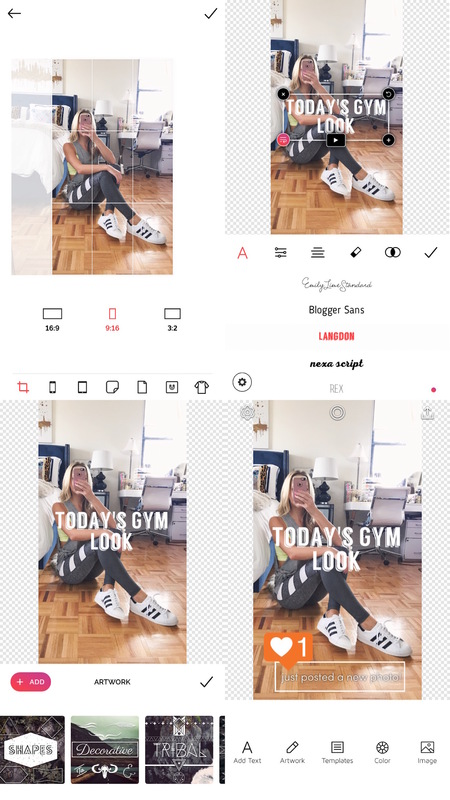 You can start from scratch by creating a new file or crop your own photo to fit the Instagram Story dimensions (1080 pixels x 1920 pixels.) I made this one really quickly as an example– all I did was style my wording in two different text boxes. Then underneath I added a white rectangle and adjusted the opacity so you could still see the original photo. Voilà! Hype Type is my go-to app for adding text over videos and boomerangs. Like Typorama, it’s easy to use and there are multiple font options, animations and text colors to choose from. 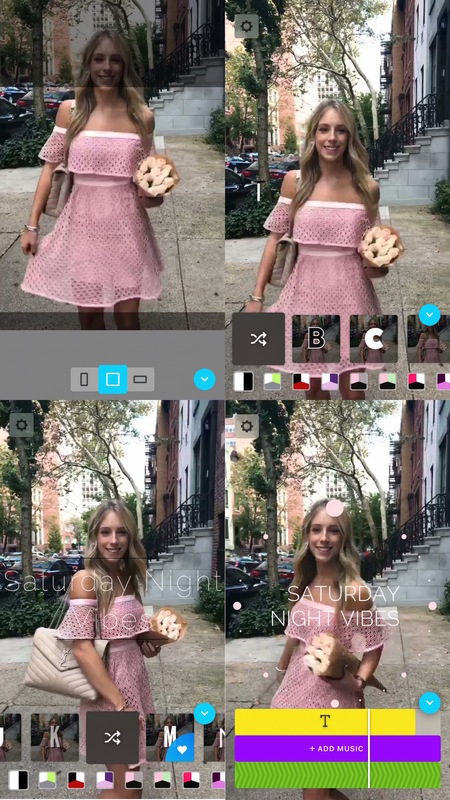 You can even add music over a video and crop your clip to a 1 x 1 square or Instagram Story. Hype is a breeze to use. Just make sure that whatever clip you’re working with is at least 5 seconds long and shorter than 15 seconds. If you want to add multiple sections of animated text, just continually save your file and reopen it to add a new layer. Adobe Premiere or Final Cut Pro can be used to create custom videos for Instagram Story too. 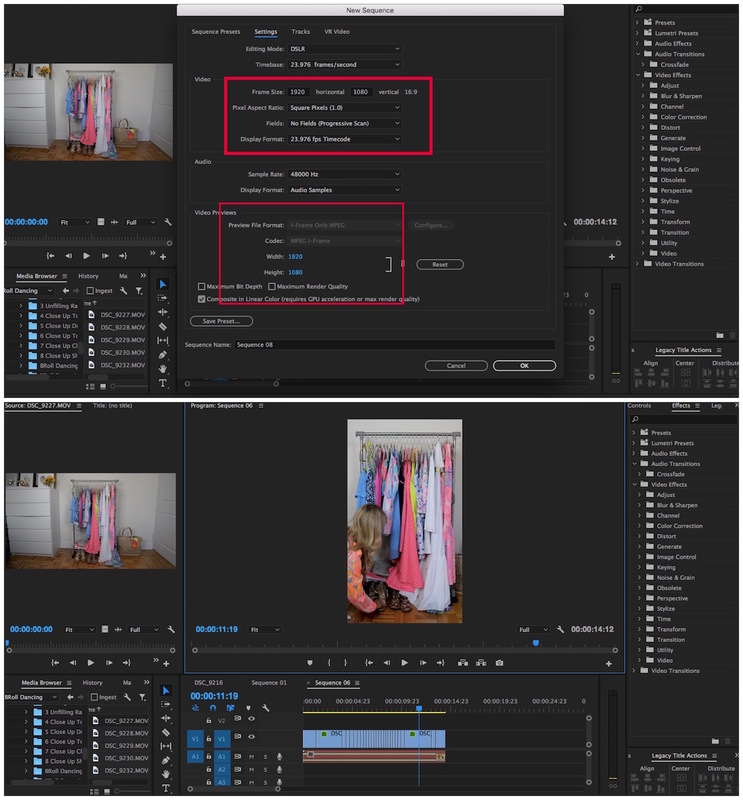 All you have to do is set your presets to the correct dimensions (1080 pixels width x 1920 pixels height or a 9:16 aspect ratio) and string together your clips so the final export is no longer than 15 seconds. So did I cover everything? I’m sure there are ton of apps out there that I haven’t even discovered yet, so if you have a recommendation or one that you love definitely shout it my way! And if you haven’t yet, make sure you’re following along on Instagram for more and leave any questions in the comment box below. Happy creating, everyone! PS! 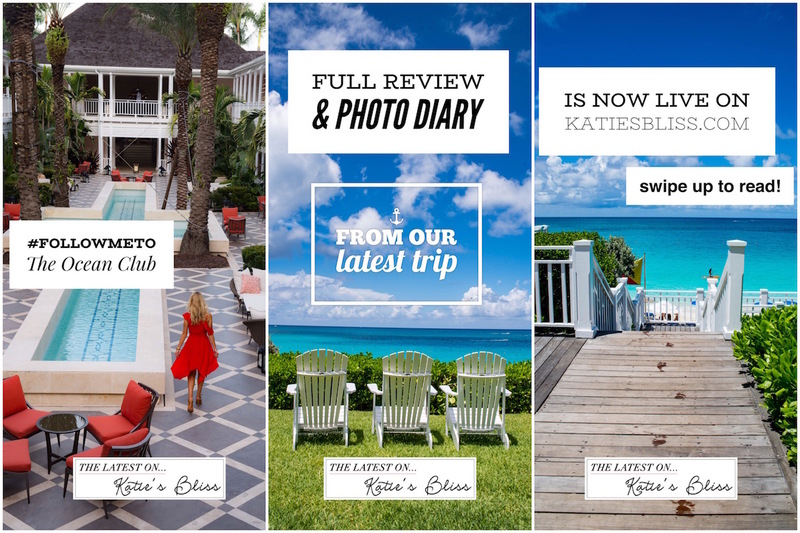 Don’t forget to check out my guide to best apps for customizing photos and videos for Instagram Stories here. Thank you Katie! You read my mind…I just downloaded the Typorama app. I’ve read that Microsoft Powerpoint is an option. But that’s too much work! I have a few Post-Irma posts to do and this will make it fun. Awesome article. I drop everything in PS, but Typorama looks much faster. Hype Type looks like fun as well and will save me some time from editing in Final Cut Pro. Thanks for the great article. Aw thank you Natasha your comment means so much to me! Thank you for all this great information! I just book marked this post and downloaded Typorama. I’m not huge into Instastories yet, I love to watch them but hardly ever create my own, I guess I’ll have to change that. Being anew blogger I really appreciate articles like this one, it’s really sweet of you to share. Have a lovely weekend! I’ve been wanting to ask you how you get the fonts forever! Sadly it looks like these apps are only available for IOS and I am an android . But thanks very much for sharing!! Aw hopefully they’ll release them for Android soon! Hi Katie! Love your post! Do you have any suggestions for apps equivalent to Hype Type and Typorama for Android? I could really use the help. This was so helpful! Never heard of Typorama but I’m in love with it now, thank you. Super helpful! Can’t wait to get creative with it! Thanks for the awesome tips I will check out typorama. And btw love your pink dress! 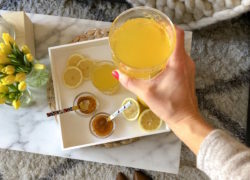 Where is it from?